My first experience with a mall was at Oxford Valley, in Bucks County. Like feudal landlords, my grandfather and I would drive there in his Chevrolet Impala from his house in Trenton, to keep an eye on construction. We owned a tiny piece of it–dwindling stock in the Arnold Constable Company, the defunct department store chain that tried to revive itself with the fashion boutique No Name, one of the tenants in the new mall. PopPop had been a retailer all his life. He turned his father’s millinery business into a chain of 150 hat stores, Reed’s Millinery, and became a director of Arnold Constable. By the time we were spending afternoons together, the last Reed’s store, on State Street in Trenton, had closed, a victim, like Arnold Constable, of changing tastes and shopping patterns. “When malls were built you had one person working in the house and mom had lots of time on her hands to spend shopping and having lunch,” says Joseph Coradino, CEO of the Pennsylvania Real Estate Investment Trust, the company that, along with a partner, the lifestyle mall developer Macerich, has proposed to turn the more than 1.1 million square feet of Philadelphia’s Gallery mall into the Fashion Outlets of Philadelphia. “Now you have a customer who is time-starved and convenience-driven on the other hand you have a customer, who, when they have leisure time, is looking for dining and entertainment. We have to pattern ourselves after the shopper and that customer has changed dramatically.” This shift drives PREIT’s $575 million vision for the Gallery, whose tenants will be a yet-undisclosed combination of fashion outlets, flagship retail stores, and restaurants. PREIT, which invests in retail shopping centers, has been acquiring the Gallery’s complex amalgam of real estate parcels since 2003, when the company took over the mall’s management. Today, City Council will begin the consideration of bills to authorize the sale of the last pieces of the mall, which was developed in 1977 and 1983 by Rouse and Associates with significant investment by the City and the federal government. If City Council authorizes the sale (really a 99 year ground lease), along with a tax increment financing (TIF) package that uses future projected tax receipts to pay for investment today, the renovation project could begin as early as the summer, according to the City’s deputy mayor for economic development Alan Greenberger. The Redevelopment Authority and the School Reform Commission have already approved the deal. About $150 million of the total project will be publicly funded, $35 million of that from the state. The transaction allows the City of Philadelphia to avoid funding needed capital improvements and renovations to the complex and paying for upkeep of the facility that it had been legally obligated to do since the 1970s. “We need to get out of the mall business,” says Greenberger. In this sense, at least a portion of the public funding for the project can be seen as a one-time payout for deferred maintenance. Retail analysts say that Philadelphia loses between $1 and $3 billion in retail sales to suburban malls. “The premise of Gallery has always been that it would serve the 125,000 commuters on Regional Rail, but in the last several years few of them come upstairs,” says Greenberger. Conventions at the Convention Center one block away from the Gallery run tour buses to King of Prussia. When row house Philadelphians need mall store items, they go to Cheltenham, King of Prussia, Cherry Hill, and Willow Grove (and perhaps a fraction to Oxford Valley). “The Gallery was not an unsuccessful project,” says Coradino, who grew up shopping there. “The problem was it was no longer responding to the public.” The public, of course, is a multi-faceted entity. The nearly 200,000 or so who use the Market-Frankford El each day comprise a large public–black, white, Asian, Latino mostly working class, young and old, for whom the Gallery served well as a gathering and shopping space. El riders, certainly a heterogeneous public, don’t factor much into the description of the customer-base for the new mall, which generally includes Center City residents, tourists, commuters, and office workers. The Gallery is a neutral, non-corporate name drawn from Italy’s grand, cosmopolitan 19th century urban shopping centers in Milan and Torino that will be lost when the name and logo of Fashion Outlets of Philadelphia is affixed to the entrance. Perhaps names don’t signify anything–Coradino thinks they don’t–but how comfortable will kids from 23rd and Berks, or Broad and Oregon, feel here? 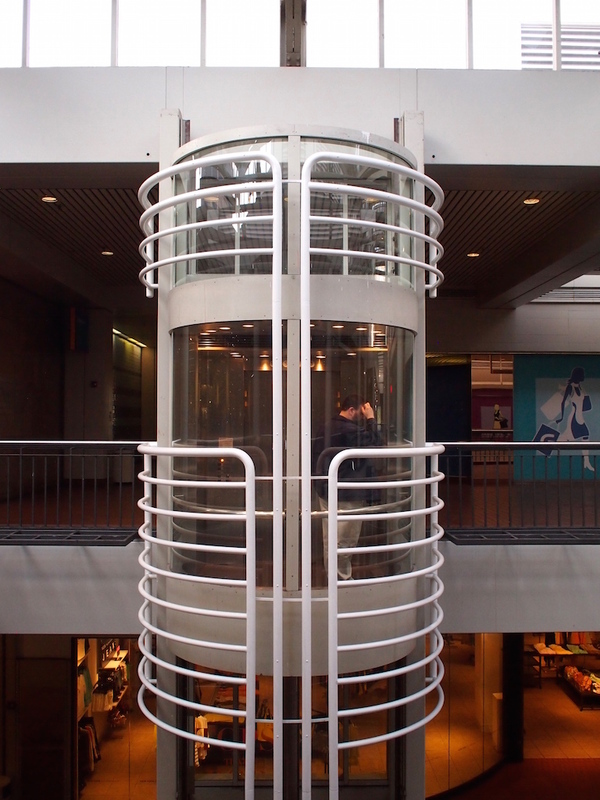 Privately held malls are able to limit certain people from entering the building. Groups of teenagers, for example, aren’t allowed inside The Shops at Liberty Place after school. This writer was told he couldn’t take photos inside the Gallery this week–a certain violation of constitutional rights (regarding the right to photograph, if a place feels public it is)–but is this kind of restriction a sign what’s to come? In a city that’s more than one-quarter poor, this project, with all its public funding, may further contribute to society’s broad isolation of the poor. This is precisely not the case when it comes to shopping, says Greenberger. Century 21, the New York-based department store that took over part of the historic Strawbridge and Clothier store at the eastern end of the Gallery this fall, proves that a contemporary shopping space (and discount prices) attracts every kind of shopper. “Most people like nice things at lower prices,” Greenberger says, noting that the store has successfully attracted shoppers and workers from across the city. Changing spending habits forged during the Great Recession have endured, says the retail specialist Douglas Green, principal of MSC Retail, a brokerage and consultancy in Rittenhouse Square. “People now expect to buy merchandise on sale and this expectation, coupled with increased competition, has driven down margins for most apparel retailers,” says Green. The result of this is a proliferation of outlet malls, including new centers in Limerick and Gloucester, N.J., which is being co-developed by PREIT. In addition, discount outlet stores are opening in traditional full-price malls. Green says PREIT and Macerich have aimed right, particularly given the mixed-use East Market development under construction across the street. “Going after a very specialized retail development (outlets) allows them to synergistically compliment the retail and restaurants being developed across the street and not be in competition for a limited pool of tenants,” he says. One constraint on potential tenants: retailers’ internal rules about proximity of a full-line store to an outlet. “They don’t want to confuse the customer, water down the brand, and undercut their own merchandise,” says Green. PREIT and Macerich may, however, be looking for local and regional retailers and restauranteurs. “You think about malls historically, they’re very homogenous, all the same.” says Coradino. “That’s something that we are addressing in many of our developments. To bring the unique mix of stores that makes the property less cookie cutter requires that we work with good local and regional retailers.” (No one I talked to, citing the competitive work of leasing, could comment on likely tenants for the project, local or national, until financing and government agreements are in place.) PREIT’s “homegrown” program will extend the Gallery, perhaps through an envisioned “Taste of Philly” food concept and certainly through a program to develop minority and female-owned vendors. Greenberger says the City required such a program, along with rules for minority and female participation in construction and the labor force, and the developer agreed. The Gallery sits on top of the Market-Frankford El, with its nearly 200,000 daily riders, and SEPTA’s Regional Rail network, with 125,000 more. It’s one block from the house where Thomas Jefferson wrote the Declaration of Independence and another two from Independence Hall. Yet the mall, designed by BLT Architects, ultimately failed to exploit its location because, in large part, it turned its back on the street. The PREIT/Macerich plan, insisted upon by City officials involved in the negotiations, will dramatically reverse this mistake by opening the building to the sidewalk. Greenberger, an architect, says he personally insisted that store windows used for displays be open through to the stores to reinforce the connection between the sidewalk and the interior spaces of the mall. “It’s going to be a pretty snappy-looking facility,” he says. What is certain is that transit will remain a key element. The PREIT-City agreement stipulates five street connections throughout the complex (transit will be fully accessible during construction), the porousness of which may safeguard full public access to the mall. But there is no apparent plan in place to upgrade SEPTA’s various concourse spaces, or to attempt to coordinate interior architectural finishes. (“We’re not going to spend our money on other people’s spaces,” Coradino says, noting that his firm’s renovation stops at the property line.) The only hope for coordination is through the retail program. Coradino would like to align the retail in the mall with what’s being offered by SEPTA and the owners of neighboring buildings whose interior spaces connect to the mall. Greenberger expects the spillover to be much more dramatic: within the next two years City officials and real estate developers will figure out how to develop the former Gimbels store location at 8th and Market and the south side of Market between 9th and 10th Streets. More retailers are coming, he says, some of them, in an era of shifting habits, stores and brands you never thought you’d see in Philadelphia. Of concern to me is having access to Regional Rail Jefferson Station from 11th Street EL station by way of the existing walk way that leads to Jefferson Station Regional Rail. I along with thousands of riders do not want that access compromised, even during construction the next two years. Those who exit 8th and Market EL/PATCO station underneath the EL are understanding that they won’t have direct access to Jefferson Station through the public space of the mall due to impending construction expected to start Summer 2015 until Summer 2017. Even more, we would like access to Jefferson Station granted 24 hours a day from 11th Street EL. Public space would have sliding gates to lead to Jefferson Station and guarantee security for mall space during closing hours. HEAR HEAR. Both points, but especially the latter. It’s insane that to go from the 11th Street el station to regional rail at Market East you have to first discover the locked doors via the Gallery (which always happens), then come upstairs and right back downstairs. The route between the two doesn’t even pass through the Gallery proper, only a small part of the food court. It’s Cinnabon, not a bank. Good analysis, NR. If anything you underplay the density of transit service: don’t forget PATCO, as the previous commenter notes, and also the many bus lines that run down Market Street on their way back out to other parts of the city or region. All this service can probably support even more density north of Market. I wonder if the project should be thought of more broadly in the context of the Reading Viaduct vision as a way to revitalize the triangle defined by the Ridge Avenue subway spur, 12th Street, and Market Street — maybe eventually supporting re-opening of the Spring Garden station on the spur. All decisions should be made with an eye toward re-densification, both commercial and residential. This is so sad. We are becoming a city of dollar stores, but then I am still mourning the loss of Strawbridge’s and Bonwit’s. 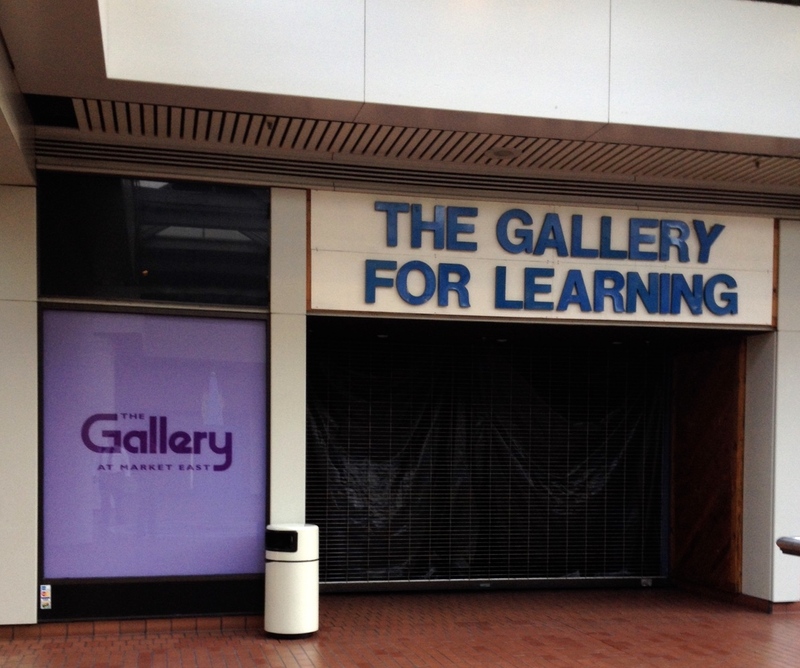 There is almost nothing good about The Gallery. It’s a shame it’s been re-purposed and not just being turned into something great instead. I’d imagine demo costs will be high, but if they put a tower on it, perhaps that would enhance the value proposition. New name for favorite discount shopping destination – Philadelphia Mills. Formerly known as Franklin Mills, Philadelphia Mills is the Landmark of the Discount Shopper offering bargain hunters top designer names at up to 60% off designer merchandise every day — with no sales tax on clothing in Pennsylvania. This 1.7 million-square-foot enclosed mall is located only 15 miles from Center City Philadelphia and is home to 200 great stores, two food courts, seven theme restaurants and a 14-screen movie theater. Daily shuttle services from Philadelphia hotels, airport and train station is available. Shuttle service is also available on Academy Bus Lines departing from the Port Authority weekly in New York City. How much will Fashion Outlets of Philadelphia REALLY DIFFER from Philadelphia Mills Mall? Very little I am afraid. 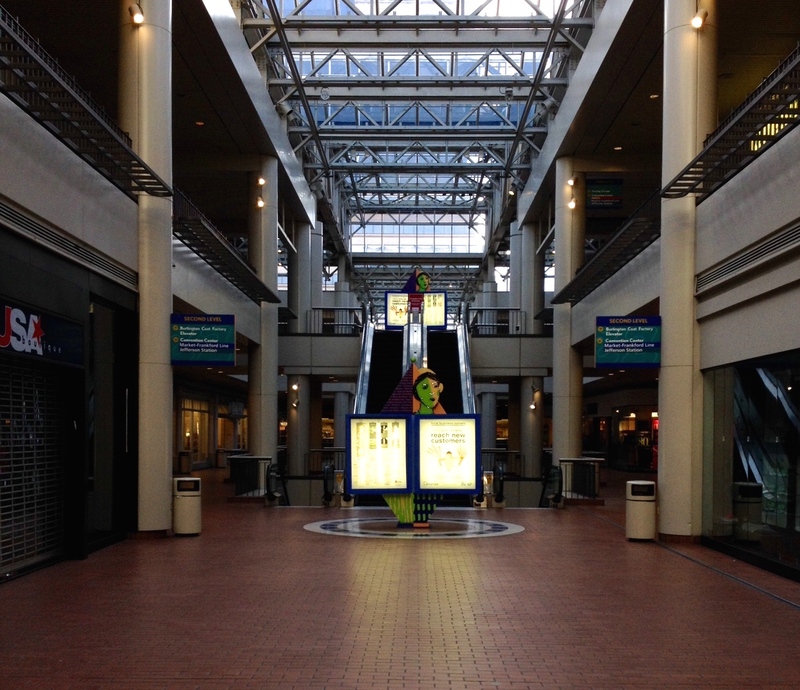 Priet is selling off malls as fast as possible due to tremendous debt load. The Gallery will be financed by tax payers. The entire world is experiencing a economic crash right now that will be worse than the 08/09 financial crash . Retail stores have be shut at a pace faster then the financial crisis and they want this?